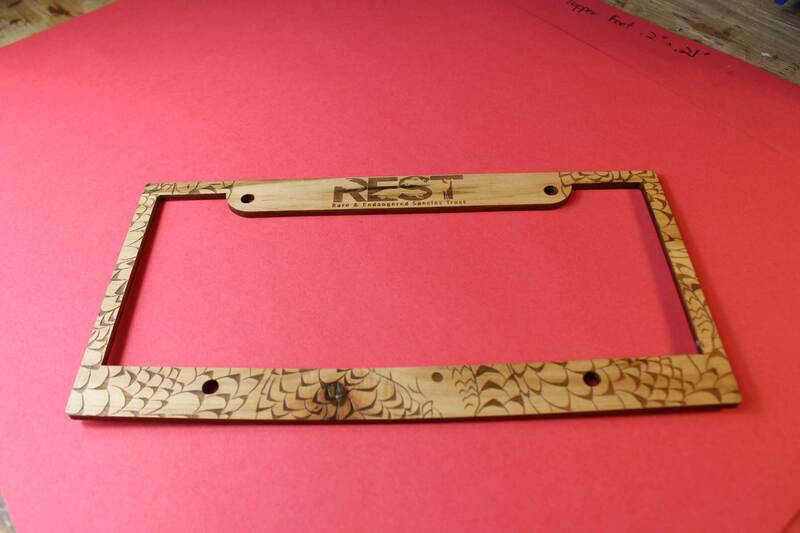 Show your love and support for at risk endangered animals with this one of a kind wooden license plate cover. 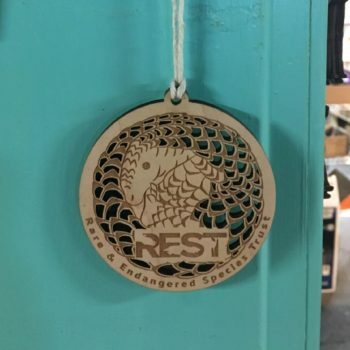 25% of all sales go directly to the Rare & Endangered Species Trust. The Rare & Endangered Species Trust is a non-profit organization based in Namibia. They have a large plot of land where they protect endangered animals, give tours and educate people on the lesser known yet important endangered animals. 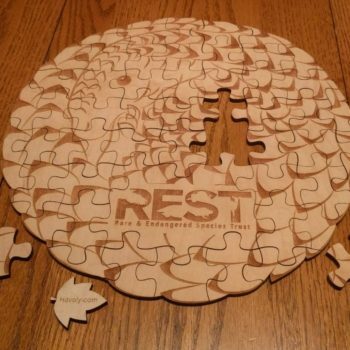 25% of all purchases of REST items gets donated directly to them. 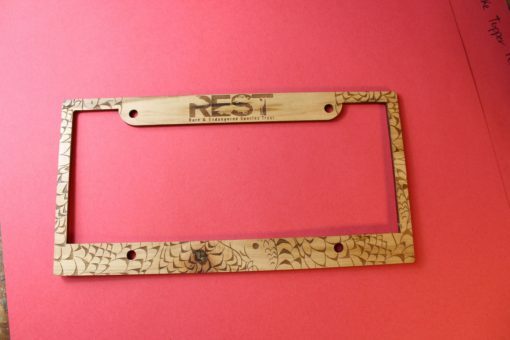 When you purchase a one of a kind REST license plate cover, you not only get a unique item which adds to the decor of any room, but you’ll also be supporting the rare and endangered species trust and the good work they do. It’s a WIN/WIN! This license plate cover is made of quality 3/16 thick maple ply. 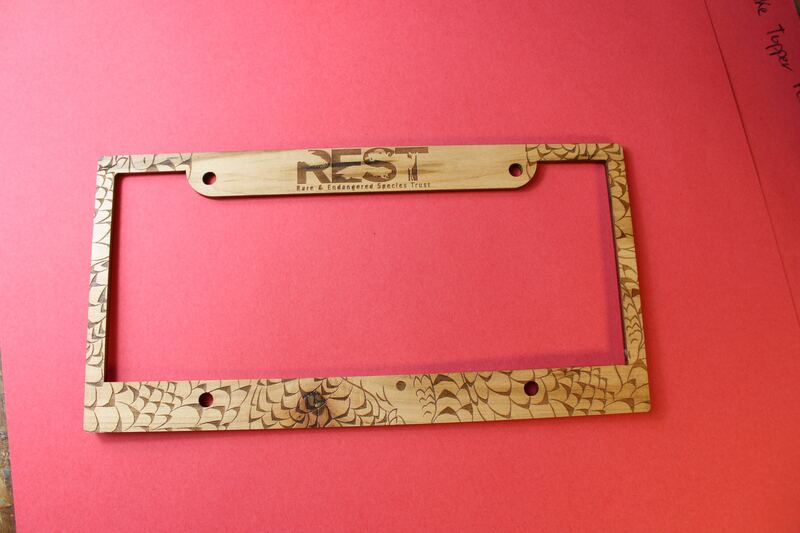 It fits all standard sized license holes. 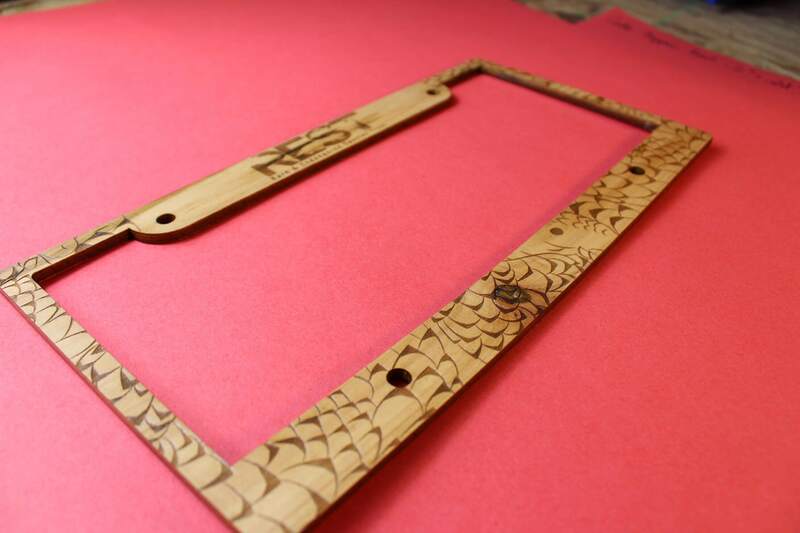 It is finished with 3 coats of outdoor SPAR urethane. This will protect it from the elements for a period of time, but you should re-apply an outdoor urethane finish once a year or more depending on your climate. License plates are enduring the toughest of the elements. 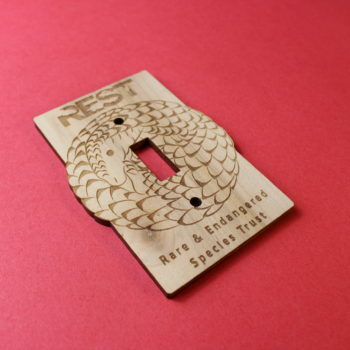 You can also find the REST Pangolin Puzzle and a REST switch plate cover, where 25% of the proceeds go straight to the REST organization. This item typically takes 2-4 business days to be made and shipped.